LG has released its new 38WK95C Ultrawide FreeSync monitor, which it previously showcased at CES 2018. This desirable display boasts a long list of high-spec attributes (and tech buzz words) for its Ultrawide 37.5-inch visage. 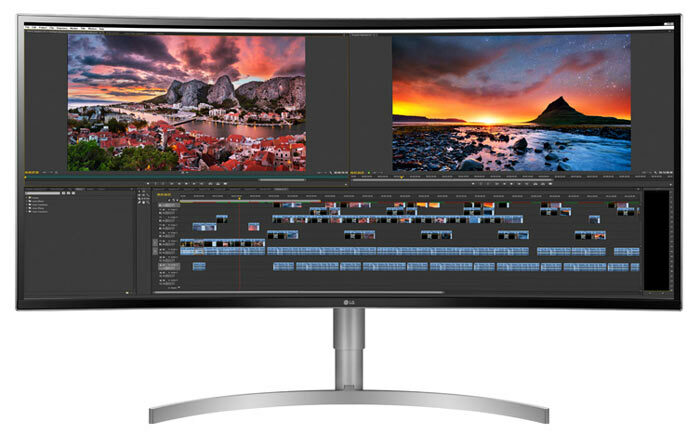 Highlights of the curved monitor are; its 21:9 WQHD+ (3840x1600) curved IPS display with HDR10 support, its 99 per cent sRGB colour reproduction, a three-sided borderless design, and USB Type-C connectivity and hub. While HDR10 support is a headline claim the monitor's max brightness is a mediocre 300 cd/m² and colour depth reproduction is limited by the 10 bit (8-bit+FRC) panel. Thus LG's panel would not qualify for even the lowest VESA DisplayHDR 400 certification. Other features not bullet point listed above include a plethora of picture modes for various content including games. The 38WK95C has Custom, HDR Effect, Reader, Photo, Cinema, Dark Room1/2, Colour Weakness, FPS1 Game/FPS2 Game, RTS Game, and Custom (Game) modes for Non-HDR content. There are HDR Vivid, HDR Cinema, HDR Game, and HDR Standard modes when watching HDR content. With such a big screen PiP and PBP modes will be useful and they are indeed present here. 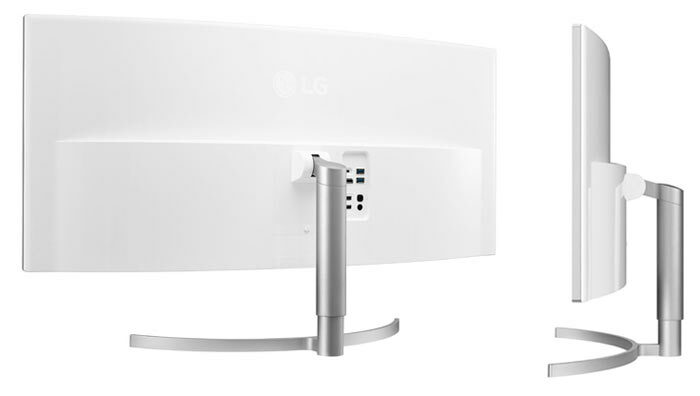 Special features are easily deployed with LG's OnScreen Control accessory software download (Mac or PC). The LG 38WK95C Ultrawide FreeSync monitor will be available at retailers in the US shortly, and you can pre-order now, priced at $1499 (£1088 + duties and tax). Looks good, but the price is (unsurprisingly) steep; perhaps that can be forgiven if the quality of actual shipped product is decent. 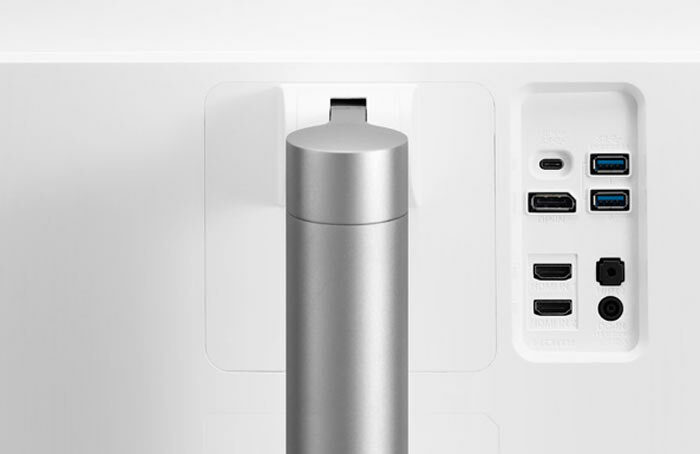 Does the USB C in also include Displayport? i have a couple other uwqhd monitors from lg. in perhaps a year`s time i think one of these may be joining them, but at the moment the price is more g-sync than free-sync. , but at the moment the price is more g-sync than free-sync. 75Hz isn't a gaming monitor and I think couldn't get GSync, looks to me like it is just simply an expensive screen.